Since 1999 we have been creating reliable, detailed, professional floorplans to help industry experts promote the sale or lease of residential, commercial, office, retail, and industrial space throughout Chicago and the Chicagoland area. Our clients include real estate professionals, property management companies, restaurant owners, architects, trade professionals, hotel chains, interior designers, for sale by owners and developers. 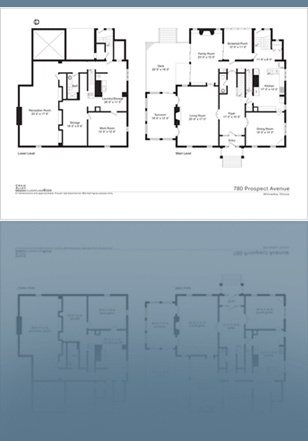 Continuing to be at forefront of the field, Viewthefloorplan offers interactive photo floorplan packages, which show your client both photographs and floorplans of a property.